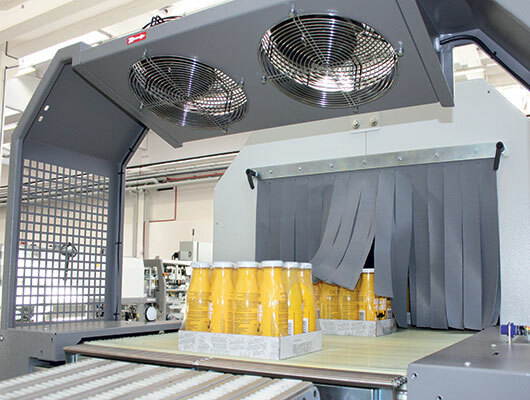 LCM ERGON series automatic machines combine in one system the functions provided by wrap-around packers and shrink wrappers, for the packaging of plastic, metal, cardboard and glass containers in closed cases, on cardboard pad + film, on cardboard tray + film and on cardboard tray only. Trays can be octagonal or rectangular, with same or different height edges. 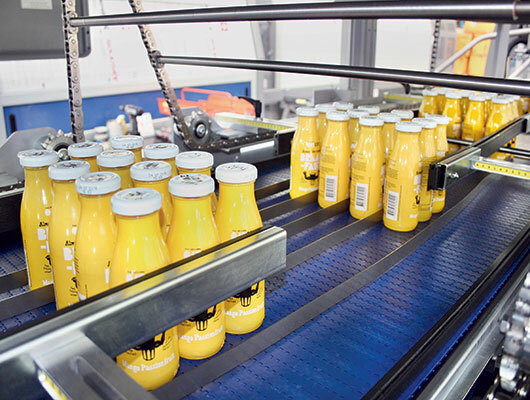 LCM ERGON series packing machines run up to 40 packs per minute, depending on the product handled and on the packing pattern. Different pack collations can be formed according to the container’s shape, capacity and dimensions; the most popular formats on market are 2x3, 3x4 and 4x6 in closed boxes, 4x3 and 6x4 on tray+film. 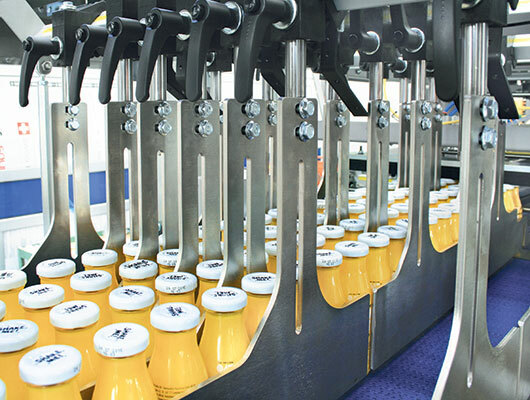 LCM ERGON packers are equipped with mechanical (LCM 30) or electronic (LCM 40) product-grouping system and can be configured with either in-line or 90° in-feed conveyor belts, depending on the customer’s requirements. The format changeover is manual. 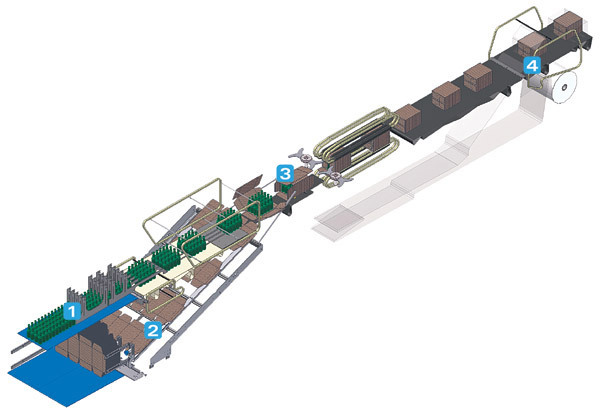 1At the machine infeed a motorized oscillating sorter lines up loose containers along a conveyor belt featuring low-friction chains made of thermoplastic material. In the pack-forming unit products are grouped in the chosen packing pattern by means of a pneumatic (LCM 30) or electronic (LCM 40) device. 2In case of packaging in closed case or tray, a sheet of corrugated cardboard is picked from the blank magazine by an alternate-motion picker with vacuum suckers; the carboard blank is then carried up along the blank ramp and positioned under the incoming pack collation with short leading side (wrap-around case) or long leading side (tray). 3Depending on the packaging features, in the case/tray forming unit the cardboard blank is folded and wrapped around the products by means of special guides. Later on flap-folding devices fold first side flaps and then upper/lower flaps on both the front and the back of the pack. Hot-glue sealing makes the case highly resistant. 4In case of packaging in film, the film is wrapped around and overlapped under the pack in transit towards the shrinking tunnel. The unwinding of film reels - positioned in the lower part of the machine – is adjusted by a progressive brake which provides constant film tensioning.